Lindblad celebrates 50 years. Memorabilia search. In 1966 Lars-Eric Lindblad led the first ever citizen-explorer expedition to Antarctica - at the time it was almost as extraordinary as a lunar launch would be today. It also marked the creation of the category of expedition travel. Lars-Eric opened up remote regions of the world and countless opportunities for so many, helping them to experience and think of the planet differently. 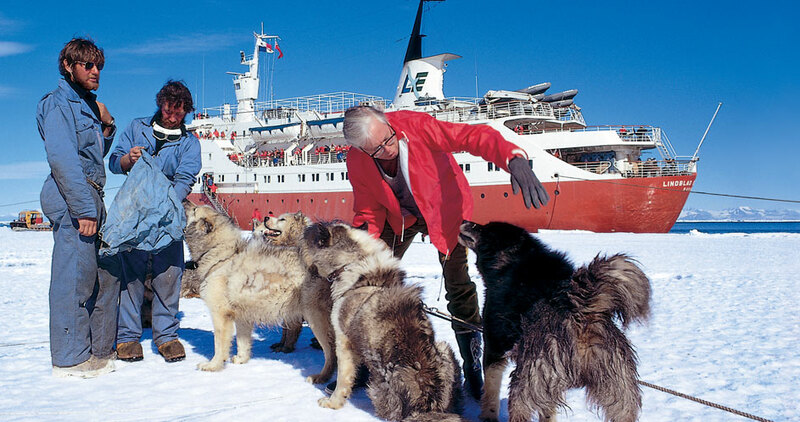 In 2016 Lindblad Expeditions-National Geographic will honour Lars-Eric’s vision and courage in a myriad ways as they mark the 50th anniversary of these two major milestones. The collection of memorabilia will be used in a multitude of ways, including being featured (with credits) in the updated version of Lars-Eric Lindblad’s autobiography, Passage to Anywhere that will chart the history of expedition travel from 1966 to now. To share your materials, send negatives and/or collectibles via tracked mail (please insure any items of value to you) to: Lindblad Expeditions, c/o Rebecca Orman, Level 2, 8 West Street, North Sydney, NSW 2060. Small digital files should be emailed to 50years@expeditions.com; and large digital files can be uploaded to http://anniversary.expeditions.com. Items will be photographed and returned via tracked mail. For more information, please visit www.expeditions.com.